Width (at widest part): 6-1/2"
I strive to make the colors shown as accurate as possible. Screen images should be used as a guide only. Refer to the item description below for the acrylic colors I used to paint this nativity scene. 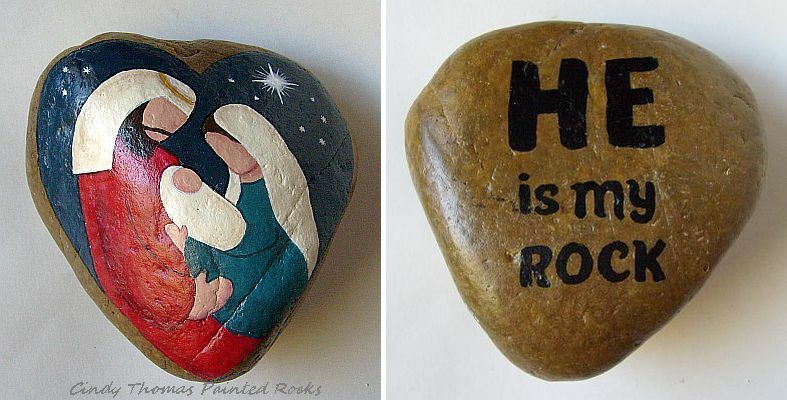 A large, Colorado rock features a stylized Christmas nativity scene hand painted on one side with a year-round, spiritual quote hand lettered on the reverse side. On the front: The background heart is painted using "Midnight Blue" acrylic paint. A large star and several small stars painted with white acrylic light up the sky. Joseph's robe is painted in a beautiful hue called "Tuscan Red." His headscarf is painted with a creamy "Buttermilk" color and the headband is "King's Gold." Mary's robe is painted in a blue/green acrylic hue called "Ocean Blue" and her headscarf is creamy "Buttermilk." 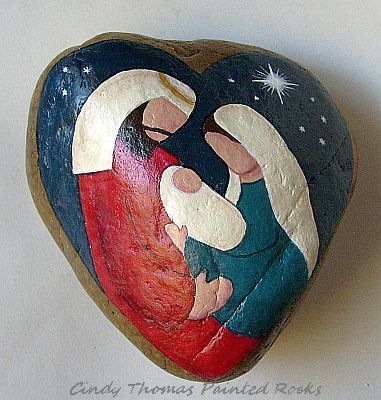 The swaddling cloths of Baby Jesus are painted with "Buttermilk" acrylic. 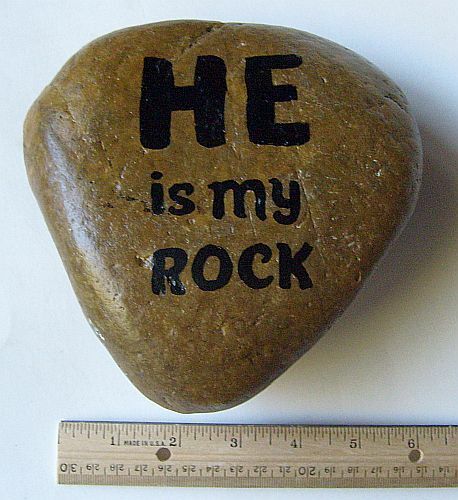 On the back: "HE is my ROCK" is hand-lettered in black against the stone's natural color. 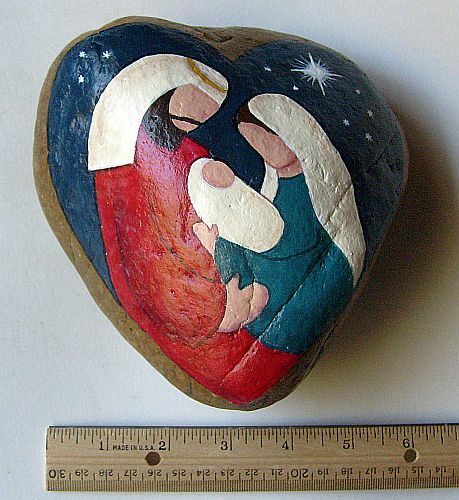 This painted rock art piece is sealed with a protective finish for lasting durability. free shipping is included within the U.S.
Non-U.S. orders, click here for shipping policy and procedure. When you click "Buy Now" you will be taken directly to my order page. 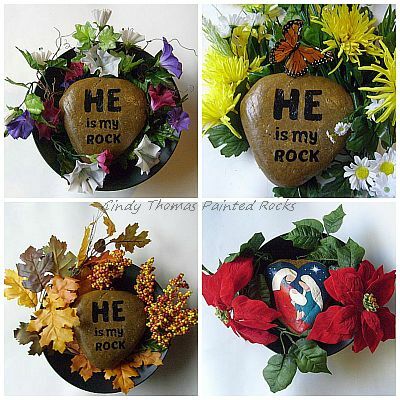 I ship via U.S. First Class or Priority Mail* and include delivery confirmation when available. Your order will be safely & securely processed by Mustard Seed Investments, Inc.